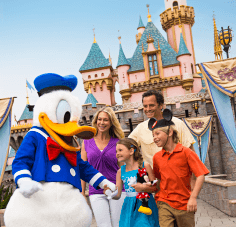 5-Day Disney Theme Park Ticket with Park Hopper Option ... Save up to $67 vs. adult gate price! As you've probably learned by now, Disney World vacations require lots of planning, and dining is no different. While the quick-service restaurants in the parks are always an option, most families visiting Disney World would like to have at least a few meals that aren't fast food. For that, we highly recommend making Advance Dining Reservations, or "ADRs" for short. With dinner shows, character meals, fine dining, buffets, deluxe views and everything in between ... yeah, it's safe to say you'll want to book an ADR or two for your next trip! For some of you, dining at Disney World is a big-time affair. If you see your trip as a once-in-a-lifetime experience and want to pull out all the stops, you should consider making reservations for at least one character dining experience and a few table-service restaurants, maybe for one of the hard-to-get restaurants or even for a romantic night out while the tadpoles stay at the Pixar Play Zone (aka an awesome children's activity zone at Disney's Contemporary Resort). If this sounds like you, you'll want to make reservations as early as possible and consider staying on-site, especially during the busiest times. 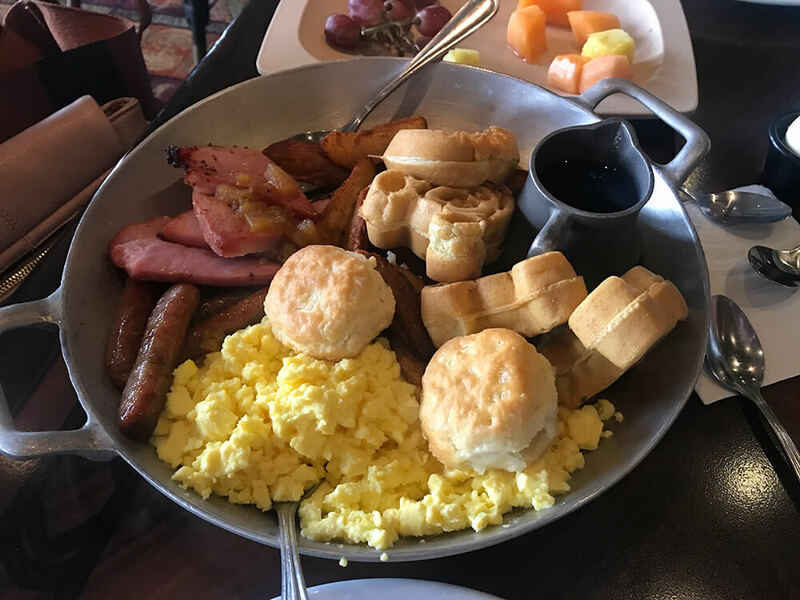 If fine dining or character dining is less of a priority, you don't need to lose too much sleep over Disney World dining reservations. 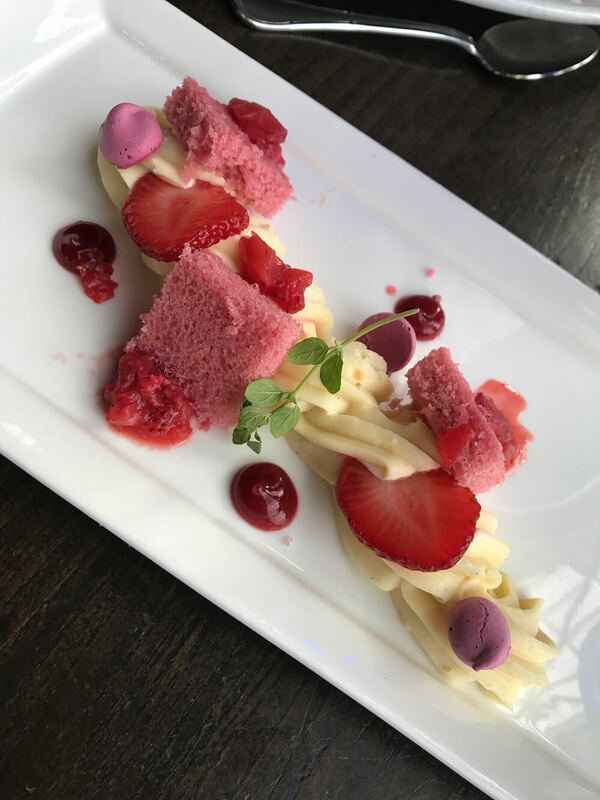 Unless you are visiting during one of the busiest times of the year, you should be able to find a few table service options, especially at Epcot, much closer to your actual trip date or even while you're there. If you're fortunate enough to be visiting during the least-busy times of year, you'll have even more last-minute choices. And keep in mind that Disney has tons of tasty quick-service options as well, so know that even if you don't book any dining reservations, you'll never go hungry. All guests (even those staying off-site) can make Disney World dining reservations. 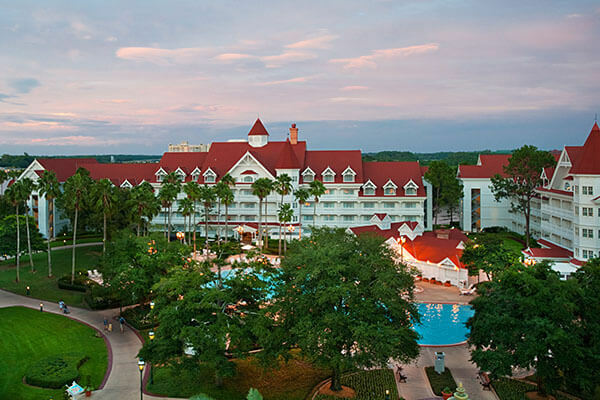 Unlike some perks offered exclusively to those staying on-site at a Disney World hotel, ADRs are available equally to all guests, regardless of where you're staying. Park admission is required for in-park dining. Just to be clear, you must have valid theme park admission at the location of your meal. So if you're dining at The Crystal Palace, be sure you have the proper tickets to enter Magic Kingdom for that lunch reservation. You can make Disney World dining reservations for your trip starting 180 days out. No matter what time of year you’ll be visiting, we recommend making reservations as close as you can to the 180-day mark. 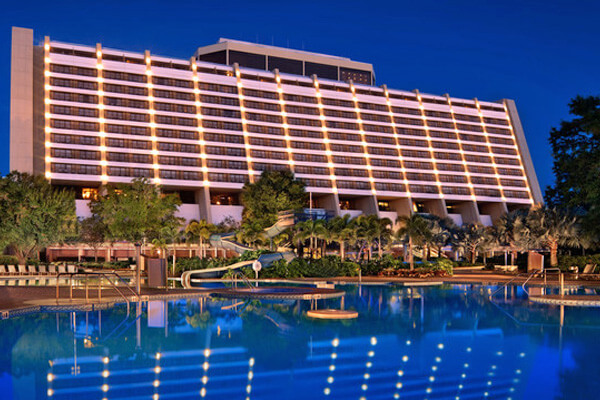 For guests staying at a Walt Disney World Resort hotel, you’ll have 180 days in advance of check-in, plus you can make dining reservations for your entire stay ... up to 10 days. What this means is guests staying on Disney property effectively get 190 days to make reservations, rather than 180. 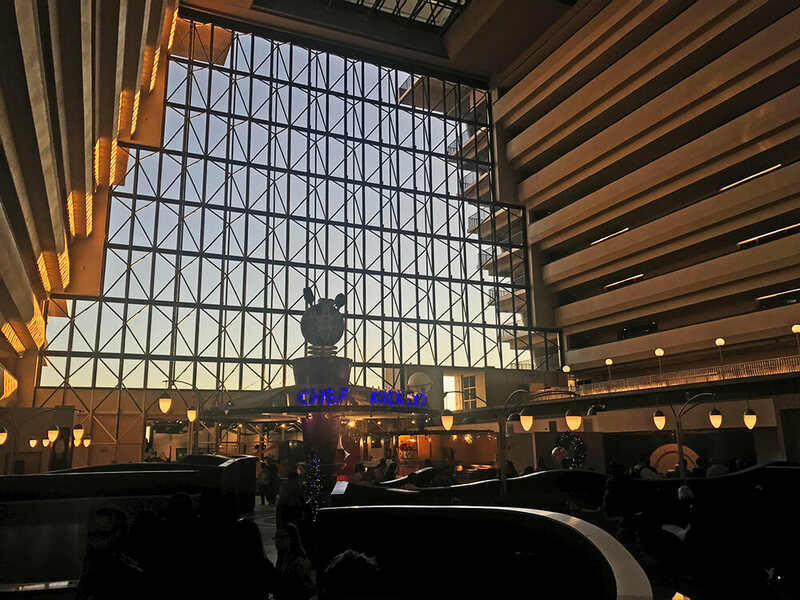 This is quite an advantage if dining is a priority, especially during the busiest times, so you'll want to make sure you book your Disney World hotel room before dining reservations open. 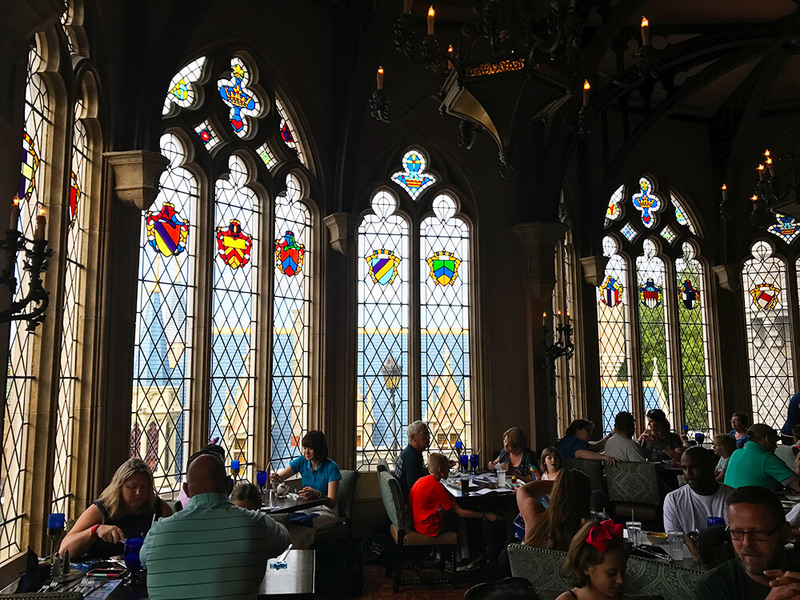 It's not uncommon to find the most popular restaurants such as Cinderella's Royal Table and Victoria & Albert's are already booked by the time 180 days roll around. The longer you wait, the less chance you’ll have at eating at one of your favorite restaurants or experiencing a dinner show, although there are still ways of snagging those last-minute reservations, which we'll discuss below. If reservations are really important to you, make sure you have already planned which days you will be going to the parks before your 180-day reservation window opens. It is almost impossible to plan daily meals for your vacation without knowing where you’re going each day. You can use our Crowd Calendar to help you decide which parks to visit on which day. Keep in mind reservations do sometimes start ahead of park opening hours, and you can get into the parks early. We don't suggest using the morning Extra Magic Hours for dining reservations if you are staying on-site and would otherwise plan to attend those EMHs since that is when you would want to be on the most popular rides. For those of you staying off-site, if you have a dining reservation in the park before it opens, you will be allowed in early. This can sometimes be a good strategy for getting a jump on popular attractions if the restaurant is further back in the park. Be Our Guest in Magic Kingdom, for example, offers early reservations and is right near the two most popular attractions in the park, Seven Dwarfs Mine Train and Peter Pan's Flight. Here's how to book Disney World dining reservations online: Log into My Disney Experience account and under the “Things to Do” tab, click “Make Reservations.” The new reservation window opens at 7 a.m. EST each day. This will take you to another page that lists all of the restaurants. You’ll enter the number of people in your party, date, and park, resort hotel or area (such as Disney Springs or Disney's BoardWalk). The search results will show what restaurants have availability that day. You can then click on the desired time and create your reservation. Voila! Once you finish entering your details, your reservation should appear on your My Disney Experience account. You can make same-day reservations for restaurants if they’re available. If you need to cancel your dining reservation or change the number of people dining, you can do so on the website, so long as your reservation is not within 24-hours. At that point, visit any Guest Relations in the parks or call the reservation hotline. Here's how to make a Disney World dining reservation on the My Disney Experience app: Click on "Reserve Dining" under "My Plans" and enter in the date, number of people in the party and time of day. You can also search for reservations in the app by experience or cuisine and location. Just like on the site, you can make same-day reservations for restaurants if they’re available. You can also cancel your reservations on the app up to that 24-hour period. Anytime after that, it is recommended you call the reservation hotline. Making Disney World dining reservations over the phone: Making an ADR over the phone should be used only when you do not have access to the app or website, or need to cancel a reservation within the 24-hour time period leading up to it. To make or cancel a reservation over the phone, call 407-WDW-DINE and listen to each of the options. How to snag last-minute reservations: We like to think there is an art to snagging a last-minute reservations, but sometimes it's just good, old-fashioned luck. If we have a last-minute trip to Disney or we've waited to book dining reservations, we've had luck scoring popular restaurants. As soon as we've finalized our plans for which park we'll be in which day, we start checking My Disney Experience periodically for the week or so leading up to our trip. This is when other guests are also finalizing their trip details, and sometimes end up deciding not to keep their dining reservations. The day before is often the best day, because people don't want to pay the reservation cancellation fee. We've had luck obtaining same-day reservations by simply showing up and asking about availability. It never hurts. We've also been able to snag same-day reservations when there was rain. Because Epcot has so many dining options, you can often find last-minute reservations for some of its restaurants, although not usually Le Cellier. If you want to dine at Disney Springs, also try Open Table: Many of the most popular restaurants at Disney Springs, such as The BOATHOUSE, Morimoto Asia and Raglan Road, offer additional reservation times on Open Table. So if you can't snag an ADR, or the time you want isn't available in My Disney Experience, try Open Table. Arrive on time. Disney is strategic with the way it schedules its reservations. Be sure to arrive on time, if not early, to make things easier for everyone! If your reservation is at the start of a dining period (some restaurants are only open for breakfast and dinner, with a break ending around 4 p.m.) there is likely to be a rush of new guests. Definitely arrive a few minutes early then! So there you have it: our favorite tips for making Disney World dining reservations. We want to hear YOUR favorite ADR spots in the comments. Have a question? Just ask. If you have tips we didn't mention, share them in comments below. 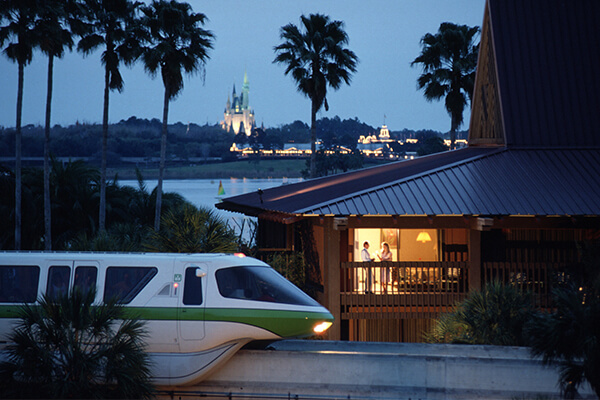 Hop over to our Orlando Planning Timeline for more trip planning resources! Hello, we will be traveling in November for 7 nights. I plan to book a Be our Guest dinner towards the end of our trip in hopes of having a better chance snagging a reservation. Will I be able to see the hours for magic kingdom for the days that are more than 180 out? I know Mickeys Christmas will be going on then and don’t want to book on one of those nights as we won’t be getting tickets for that. I know when I look now, the calendar doesn’t go past day 180 but I am hoping once you sign in and to make ADRs that info will be available. Unfortunately, hours won't be available on the schedule of events for you to see this far in advance - BUT, we've got all of the Christmas Party dates here so that you can double check :) Last year, non-party goers needed to leave the park about 6 p.m. on party nights. If we book cinderellas royal table on a day for the christmas party. Would we still get kicked out at 4pm if don't have tickets? Say, our reservation was 3:30? Park-goers without party tickets don't need to start making their way to the exit until 6 p.m. or so, so you should be all set with an early reservation! You sure can make more than one reservation per day! The only caveat is that reservations cannot be within 2 hours of another reservation. Hi, If I have a reservation for 8:30 am, but regular Park's hours is from 9am, How much time in advance they will let me enter to the park before 8:30? They'll usually let you back about half an hour before your reservation - so you should be able to head back around 8. There are different checkpoints depending on the park; for example, if your dining reservation is at Magic Kingdom, you'll be allowed to enter through Main Street U.S.A. early (along with others), then will need to look for a Cast Member with a clipboard or tablet. If you're visiting Epcot, you'll see a sign for "Dining Reservations" around the right hand side of the entrance, where a Cast Member will verify your reservation and let you back. I plan to use a Deluxe Dining Plan for my family of four. Whenever we make Table Service reservations, do we all need to order a meal? There are times when two meals will fill up all four of us. Would that be possible? As long as it's not a show, buffet, or character meal, sharing is toadally okay. i have booked to stay at Port Orleans Riverside and would like to purchase Disney tickets with dining plan just for my son only. Can you do this or would I have to purchase adult dining plan for me too? You'd also need to purchase a Dining Plan for yourself. Are we able to view the day's schedule when we book ADRs? Since Rivers of Light and Fantasmic! only run on select nights I want to make sure I'm not booking ADRs too late in the evening. Yes, you should be able to see the day's schedule ahead of time here to be able to plan your ADR's accordingly. Once you've found your date, you can then see specific entertainment times by clicking on the 5-day or day view and can also filter by park. Can I get the dining plan for my husband and myself, and not for our children? I can't see it being worthwhile for them! If you're participating in a Dining Plan, every member of your party must participate and your credits are then pooled as a group. Hey! If we book a dining reservation at a resort, can we leave the park for dinner and then return to the park after dinner? You sure can! If you don't have a Park Hopper, you'll just need to make sure you return to the same park you visited earlier; if you do have a Park Hopper, you can hop to whichever park you'd like! Will I be able to make one advanced dining reservation for a larger party (our family of four + 2 sets of grandparents all staying on Disney property) if we all have separate resort reservations? Or do I need to link our reservations somehow? There's a couple of ways you can do this. If you're using the My Disney Experience app, you'll want to link the family members together (this helps for making FastPass reservations for the group, as well). You can do this by clicking on "My Disney Experience," then going down to "My Family and Friends," which will take you to a screen that allows you to "Add a Guest" using their reservation number. You can also call to make a reservation directly, in which case you'll just need the total party number and do not have to fuss with linking folks to the app. The number to call to make dining reservations directly is (407) 939-3463. Hi, Questions about dining: If you purchased the meal plan, do you still get charged when you make the reservation (for Cinderella's Castle, dinner shows, etc.)? And I had read something about not being able to get preferred seating if you use your meal plan vs. paying separately. Would appreciate any insight. Thank you! You are correct; for dinner shows or Cinderella's Royal Table, you'll be charged in advance for your reservation, even if you are using a Dining Plan. If you choose to use your Disney Dining Plan at Cinderella's Royal Table, all you need to do is tell the Cast Member when you receive your bill, and they will credit the full amount to the credit card that you used to secure the reservation and process your dining credits instead. You are also correct that for certain shows, there are limitations around your seating tiers if you choose to use the Disney Dining Plan. The Disney Dining Plan can be used for Category 2 or Category 3 seating at all Dinner Shows (pending availability) and Category 1 seating at the 8:30 PM Hoop-Dee-Doo Musical Revue (also pending availability). We are planning a family (reunion) vacation at Disney world next fall. 19 family members will going. Is it possible to get a dinner reservation for 19 people? If so what is the best way to make our reservations? How fun to do Disney family-style! Yes, making advance dining reservations for a large group IS possible -- it just might take some playing around! 1. 180 days from your arrival, we suggest calling Disney Dining at (407) WDW-DINE or (407) 939-3463. They may recommend breaking up your party to better accommodate you, in which case, just be sure to ask that your tables are seated close by. 2. If you are looking to dine at Disney Springs, you can also call the restaurant directly to get reservations. 3. Off-times may allow for a little more flexibility with accommodating a large party. I hope this is hopful! Enjoy your trip. Hi there! We have a reservation for breakfast at Be Our Guest for 10 people. Do we all have to order an entree, or can we share plates? Sharing plates will be no problem. Enjoy! Hello there, I’m new to this. I’m wondering where we buy the Disney dining plan to go with our rooms and park tickets? Or do you not sell them directly? Will we need to go to Disney directly for those? Thank you for your help. We don't currently off the dining plan; you would have to purchase a package (tickets and hotel) directly through Disney. The "extra days" comes in because if you stay on-site, you can book dining reservations your full length of stay vs. day by day 180 days in advance of check-in. We are a group of 7. If two of us do not show up for the reservation made for 7 will we be charged $20? The $10 per person cancellation fee is generally for no-shows and full reservation cancellations. However, if you know in advance that your party number will be shrinking, we recommend giving the restaurant a heads up as soon as possible. 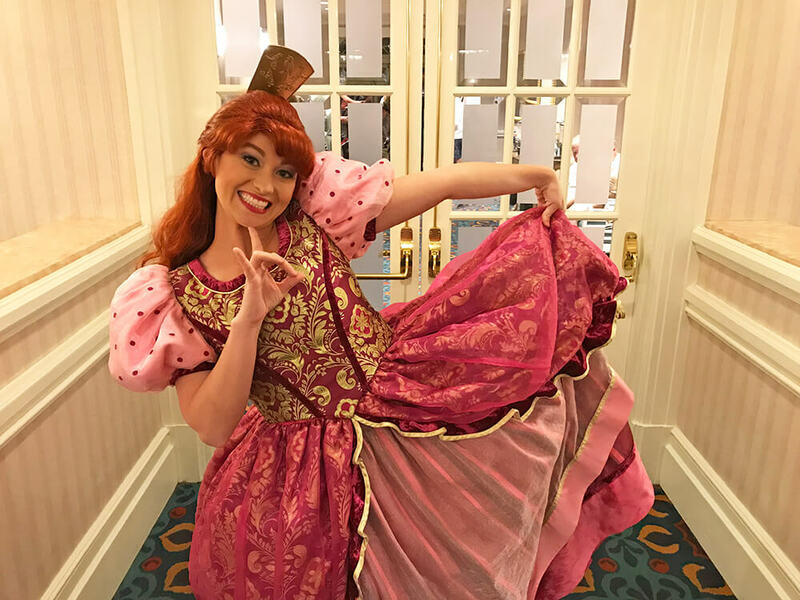 Just a little update to this post... We just recently booked our ADRs and were charged in full for Cinderella’s breakfast and the fireworks desserts. This is a separate package and sometimes has different dining times. We recommend you reach out to Disney directly if you wish to switch to the Fantasmic package. I was able to get a reservation for Cinderella´s Royal Table at 8:35pm, but on this day there will be Extra Magic Hours from 8-10pm. Since we are not staying onsite, will we be able to dine at the restaurant? Since this is pretty well past closing time for off-site guests, we wouldn't count on being able to stay in the park. Play it safe and try finding a reservation within your park hours. Yes, you can book dining reservations 180 days in advance no matter what :) And we do recommend hopping on our discounted tickets! I have made reservations for table dining for a large group. How do I ensure the restaurants removes all 10 ppl I reserved for to be sure I do not get charged anything? If you're referring to cancelling the reservation, the entire party will be cancelled and there's no need to worry about being charged. The one thing I don’t understand is how do you know when to make a reservation. I don’t want to not go on a ride because we have to make sure we make it to our reservation. Wouldn’t that waste more time? I’m probably more concerned because we only will be going for one day but we have 9 children, so family of 11, so reservations may be helpful. Or maybe just do quick service? Thoughts? We have reservations for 2 adults at Chef Mickey's. I was told that I could walk up that day and tell them there are 2 adults and 1 child (age 5), and they will not turn us away. Is this true? I don't want anyone to be disappointed. Disney ALWAYS does its best to be accommodating, but we don't like to take advantage. Adding another person to your party may make things difficult for the staff. We recommend finding a reservation for your actual party number to be safe! Can you make dinner reservations without having a hotel stay linked ? Yes, you can ... and we recommend it! All you need is a MyDisneyExperience account, which is free and easy. We reserved the last reservation time of the evening (8:55 pm) for dinner at 1900 Park Fare. Will the dining be or feel rushed since it is the end of the night? Any insight you could provide on these late night character dining experiences would be greatly appreciated. Oh my goodness, not at all! Regardless of whether you're the very first or very last reservation, you'll still get the same wonderful experience. We have never had timing be an issue or felt rushed. My husband and I are going to Disney in 3 weeks for our honeymoon and are staying on site with the Disney Dining Plan. We have made more advanced reservations than we have credits (using the my disney experience app), and had planned on cancelling several reservations in time, knowing that we'll be charged the $10 each if we dont go. For a few of the restaurants, we had hoped to only have drinks or dessert, and not use a dining credit and pay out of pocket. However, our travel agent says that in order to dine with a reservation, we must use one credit per person since the reservations are linked to our dining plan on the app, and cannot pay out of pocket. I cant find anything specific that says we must use a dining credit with a reservation, not anything that says how we make a reservation if we don't want to use our dining plan for this meal. Thanks! We love your strategy and think it's a great approach to experiencing all of the yummy restaurants Disney has to offer! We have not heard of such a rule. We recommend calling Disney directly at (407) 939-3463 to clarify. We don't think you should have any problems! When having a reservation for The Crystal Palace, lets say at 8am. I know they let you in early in the park so how do they check for your reservation? They will either ask for you to show the reservation confirmation on your phone or ask for your last name to verify. You can either reserve online on a desktop or call (407) 939-3463. If I only list myself and my daughter in MDE can I make an ADR for more than two or am I required to link the friends that will be joining us? Thanks! Yes, you can make a reservation for however many people you need without having them connected in MyDisneyExperience. It is up to 10 days following your first day, 180 days out. If you book a Disney Springs restaurant through Open Table, can you pay with Disney Dining credits at the time of your meal or only if you book it through Disney's Dining Reservation system? Hi! We will be staying on WDW property Dec 21-27. We are wanting a dinner reservation at Be Our Guest on Christmas Day. Our 180 day window opens tomorrow June 24...Do you think a dinner reservation will be available? Do i have to wait until 6 to log in to my account to make the reservations or can i be in a few minutes early? Please help I'm so worried about not getting the reservation I want most! i will be at Disney the same exact time and i made all reservations with no problem!!! this includes CRT, Be our guest, narcoossee, the wave... and it goes on and on... enjoy your holiday! Hope you were able to secure the reservation you wanted! I am staying on resort for 6 days, then off resort for 8 days. Will I only be able to make advance reservations for the first 6 days of my trip at 180 days prior to check in? Or can I reserve for 10 days, including 4 days I have moved off resort? You will only be able to book for the first six days that you are staying on property, then able to book 180 days in advance for each day following. We are staying on resort for 6 nights from 6 April 2019, then a further 8 nights offsite. Will we be able to access ADR for the first 10 days of our trip from 8 October 2018 (-180 days). Or will we only be able to book for the first 6 days when we are on resort? HI! I purchased a room ( 1 night stay) through undercover tourist. Can I add the dining plan for that 1 night stay through you? Disney told me I could not through them because I booked the hotel room from undercover tourist, so I should check to see if I can purchase it here. Unfortunately, we do not currently offer the dining plan! How do we book a dining plan if we booked our hotel through you? We arrive on Christmas Day! Very excited - it's our first time for the holidays. 2 questions. 1. Best place to dine on Christmas. 2. Is the spirit of aloha worth it? Heard mixed reviews. We love Spirit of Aloha! Christmas is very busy, so be sure to grab a dining reservation for whatever you're in the mood for. We love doing a fun character meal like Chef Mickey's! Later in the year, Disney may announce special meals available on Christmas Day. I have a reservation at Port Orleans for December and I'm getting ready to make ADRs and will benefit from the 180+10 policy for CRT and BOG. What happens if my trip dates change and/or we later decide to stay off property? Will canceling the room also cancel the ADRs? Awesome plan! As long as your potential change of plans takes place within the 180-day window, there will be no reason that the reservations would be cancelled, even if you're staying off property. No worries! Just make it clear when you call guest services. We booked a December stay (At a Disney resort) and wanted to arrive a day earlier, however our resort had no availability that day. So i booked a second reservation for the full stay, at a different Disney resort (which we don't like as much) keeping both. Now my ADR day is one day earlier. When I call to change the resort reservation, probably a split stay - 6 days at one 4 days at another - will my ADRs be cancelled? I dont feel they shoudl since we are staying on Disney properties the entire time and are only moving because of lack of availabiity. Hope this is clear! Any advice or similar experiences would be appreciated! We invite the Frog Pond to chime in, as we haven't experienced this ourselves - but we don't think there should be any problem here. Dining reservations are 180 days in advance of your trip regardless of whether you're staying off-site or on-site. You will have no problem getting into the park early if you have a reservation. The ticket windows typically open an hour ahead of park opening. We are going next spring and have booked our rooms at shades of green but we are waiting till fall to purchase our park tickets to see if they will extend the salute to the armed forces for another year. Do you have to have park tickets linked in my disney experience before you can make ADRs or just the hotel reservation?? You will be able to make your ADR's six months in advance, regardless! We are arriving at WDW on November 20th, staying at the Boardwalk Villas. When can I start making dinner reservations and can someone tell me which are the best restaurants at WDW. Thanks. You can make dining reservations 180 days in advance of your trip. For character meals, Chef Mickey's and Cinderella's Royal Table are our favorites. Otherwise, we're huge fans of Hollywood Brown Derby at Hollywood Studios, Yak & Yeti at Animal Kingdom and any of the restaurants around World Showcase in Epcot! So my dad made all our dining reservations but is now unable to go on the trip with us. It is now only my close friend and I going. Are trip is so close it would be so hard to try to make new reservations. Do you think we will still be able to use our exsisting dining reservations if my dad is not with us? It would be better to remake the reservations if you were able to do so, but if not, we think you will be able to still use the existing ones. You'll just need to make sure your (you and your dad's) My Disney Experience accounts are connected as friends/family. We made our reservations for October and are so excited! For the 180 plus 10 ADR, do the other days (days 181-184) just show up when the 180 mark opens from the first day of your hotel reservation, or how do you make the rest of the reservations on the same day? Yes, if you're staying on-site, then you'll be able to make reservations for up to 10 days past the 180 day mark. So, for days 181-184, as long as you're making the reservations on the same My Disney Experience account that your hotel reservation is linked to, then you shouldn't have any problems! Hi! I had booked a trip in June for my sister, my niece and myself. A few weeks after, my sister's husband asked to join so I changed the reservation and added him in. I already had a few ADRs made and was able to get some new ones made to accommodate him, but for example for Ohana I couldn't find another one for 4 instead of 3. Could I just have him come with us to the reservation and say we have 1 extra when we check in at the podium? What's the best way to get him added on so he isn't left out? Thanks! We recommend calling the reservation line at (407) 939-3463 to speak to someone. We imagine they should be able to accommodate since it will just be rounding out your group of 3! What happens if I’m booking a 14 day trip? I can make dining reservations for the first 10 days. When can I make days 11-14? You'll have to wait until you reach 180 days before the 11th day, if that makes sense. I think your info may be outdated. The window opens at 6am EST. I am also not sure about the 190 days out, I have only heard of 180 days. Starting 180 days in advance of your arrival date, you can book dining for the entire length of your resort stay—up to 10 days. So, you're able to make reservations for an extra 10 days, which would make it 190 days! My mom has alzheimers and dementia and will be in a wheelchair or electric wheelchair and have a walker for bathroom transfers. How do i make reservations to accommodate? Also trying to get someone to come along and help with mom. So some meals 3 some 4 will depend on hours on and off. Should i make them all for 4? Disney is very understanding and super accommodating with situations like these, so no worries. Call their dining reservation line at (407) 939-3463 and explain your situation - they may be able to put a request in the system for convenient seating for your party, and we're sure they won't mind you making all reservations for 4, just in case. I believe that you can book 180 days out for anyone, even with no resort reservations. And up to 190 days out starting with the first day of your trip at 180, so you could book the rest of your days up to 10 days more.